A RARE OPPORTUNITY TO ACQUIRE AN OLD DERELICT COTTAGE AND CIRCA 138 ACRES OF GRAZING LAND, LOCATED CLOSE TO CLIFDEN. A substantial parcel of land extending to circa 138 acres of grazing land enclosed by post and wire fencing and with natural water source. The lands are vacant (as of 1st March). The lands are enclosed with post and wire fencing and are stock proof. Access to the lands are via a track leading from a local road. 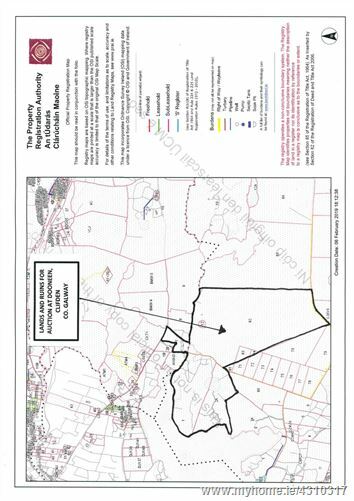 Department maps are available for inspection and show 123.27 acres of claimable lands. There is an old cottage / building situated on the land and could provide covered storage.